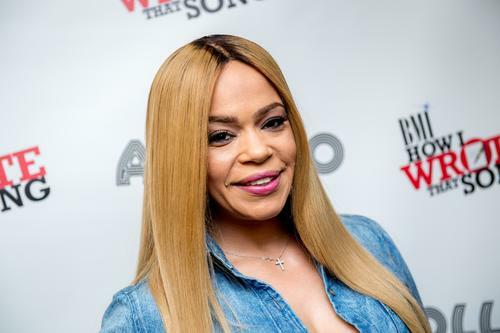 The speedy wedding between Faith Evans and Stevie J may sound cute and lovely for the couple, but according to sources close to the newlyweds, their family and friends are feeling all kinds of ways. It seems as though the couple's marriage was something no one was expecting and it was never talked about once. Apparently, Faith was scheduled to be in Los Angeles and Stevie was just in ATL for Love and Hip Hop and the Las Vegas hotel room wedding came out of nowhere. Faith's son, CJ Wallace, was one of the ones left disappointed since Stevie is his godfather. Things get more interesting after reports suggest that Stevie J's idea of a quick wedding was done because he knew Faith's family wouldn't let her go through with it. When Faith's crew hit her up with questions on her new love move, she replied with a song she recorded with Stevie titled "A Minute." Not even 24 hours into their wedding bliss, Stevie has been exposed for cheating on Faith with both men and women - yikes.